This article, written by Gentry Locke Partner Gregory J. Haley and attorney Walter C. Erwin, III, was published in the Journal of Local Government Law, Vol. XXIV, No. 3 (Winter 2014), a publication of the Local Government Section of the Virginia State Bar. Real estate tax assessment cases are a fixture for local government attorneys and most localities can anticipate a significant case every few years. Many of these cases go to trial because they are difficult to settle. This article offers practical points for defending a tax assessment case. We hope this article will be helpful to LGAs for reference purposes when a taxpayer files an assessment challenge. This article does not attempt to cover every aspect of defending an assessment challenge. Rather, we have focused on those areas that require judgment calls with some suggestions for making the best decision possible given varying circumstances. A. Why property owners bring assessment challenges. Why the taxpayer brought the challenge can influence the LGA’s case strategy. Property owners hope to lower their tax assessment, recover a refund (with interest!) and reduce future tax costs. These cases, however, are often triggered by specific events. In some cases, the taxpayer bought the subject property for an amount less than the assessment. In others, nearby properties have sold for lower prices indicating a decline in property values in the area. With larger commercial properties, the owner may be implementing a program to seek lower assessments on multiple properties in different localities. Finally, tax cases often involve special purpose properties, such as golf courses, hospitals, specialized manufacturing facilities, headquarter buildings, low income housing, and shopping malls, that present difficult valuation issues. The Complaint will generally assert that the assessment is too high because of a failure to adequately consider specific economic facts (a recent sale, actual contract rent, etc. ), the use of an inappropriate assessment method, and/or a lack of uniformity. B. A quick look at the law. Virginia law requires that assessments of real property shall be at its fair market value. City of Richmond v. Jackson Ward Partners, 284 Va. 8, 18 (2012). The Supreme Court has defined the term “fair market value” as real property’s sale price when offered for sale by one who desires, but is not obliged, to sell it, and is bought by one who is under no necessity of having it. Fair market value is the actual present value of the land, with all of its adaptations to general and special uses, and not its perspective, speculative or possible value based on future expenditures and improvements. TB Venture, LLC v. Arlington County, 280 Va. 558, 564 (2010). A locality’s assessment is presumed to be correct. A taxpayer challenging the assessment of property has the burden to rebut the presumption by establishing that the subject property is assessed at more than its fair market value or that the assessment is not uniform in its application. To rebut the presumption of correctness, a taxpayer must show by a clear preponderance of the evidence that the taxing authority committed manifest error or totally disregarded controlling evidence in making the assessment. Id. at 563-4. To establish manifest error in the assessment, the taxpayer must prove by a clear preponderance of the evidence that the assessment was not made in accordance with generally accepted practices by showing that the assessor employed improper methodology or totally disregarded controlling evidence in making the assessment. Property owners assert that manifest error exists if the taxpayer establishes a significant disparity between the fair market value of the property and the assessed value, relying on West Creek Associates, the County of Goochland, 276 Va. 393, 414 (2008). If a taxpayer attempts to approve manifest error by showing a significant disparity between fair market value and assessed value, without showing that the taxing authority employed an improper methodology in arriving at the property’s assessed value, the taxpayer cannot prevail so long as the assessment comes within the range of a reasonable difference of opinion when considered in light of the presumption in its favor. Id. at 414. The Court has stated that because fixing property values is a matter of pure opinion, the courts must be hesitant, within reasonable bounds, to set aside the judgment of assessors; otherwise the courts will become boards of assessment, thereby arrogating to themselves the function of duly constituted tax authorities. City of Richmond v. Gordon, 224 Va. 103, 110-1 (1982). 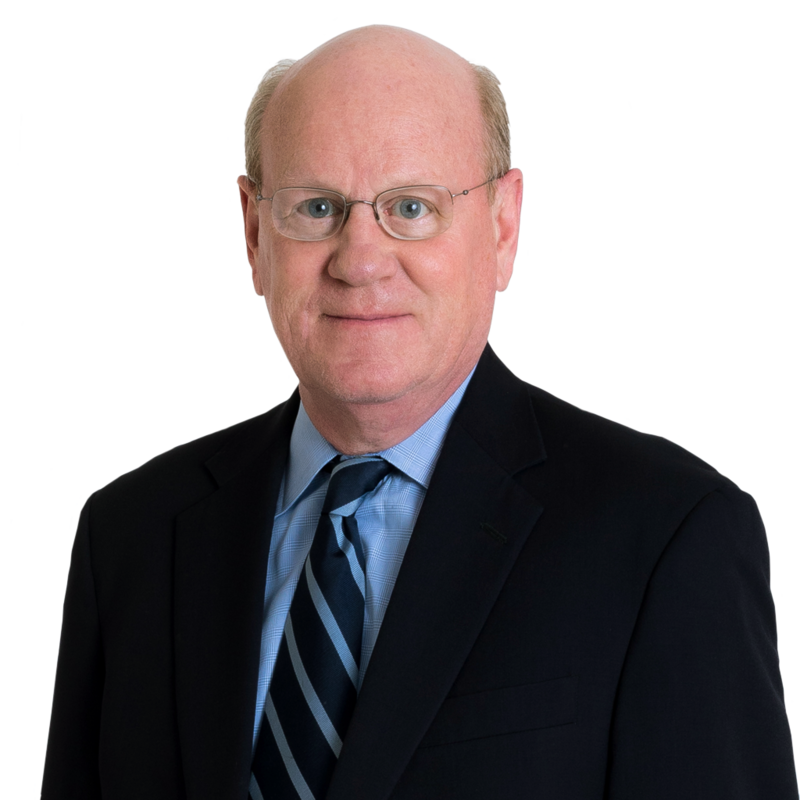 The “Local Taxation” article in the LGA Handbook, by James V. McGettrick of the Fairfax County Attorney’s Office, includes an invaluable explanation and summary of key case law involving assessment and appraisal issues that can be consulted when specific issues are presented. The key statute is Virginia Code § 58.1-3984 (substantively amended in 2012) which provides for a cause of action for a property owner to challenge an assessment. Section 58.1-3987 provides for court action on such a complaint. Sections 58.1-3990 and 58.1-3994 authorize localities to compromise tax assessment disputes in various ways. Sections 58.1-3980 and 3981 authorize an assessor to correct an erroneous assessment without a court action. There are other statutes in Title 58.1 that will be relevant to specific types of challenges. C. A quick look at the appraisal rules. An LGA must learn a lot about appraisals. The case law is replete with descriptions and holdings with respect to appraisal practices. A working knowledge of the case law is essential in developing the best evidence and arguments to defend a challenge. A LGA should study the Uniform Standards of Professional Appraisal Practice (“USPAP”) and the Standards of the International Association of Assessing Officers (“IAAO”) (these resources are available online), The treatise Appraisal of Real Estate, published by the Appraisal Institute, is an essential resource. A working familiarity with these materials is necessary in analyzing both the property owner’s appraisal and working with the locality’s appraiser and the Assessor. The property owner will often raise assessment issues with the Assessor through an administrative appeal process or a Board of Equalization hearing. A good assessor will involve the LGA in a difficult case. If it looks like there is a problem with the assessment, the Assessor has the legal authority to address the issues pursuant to Virginia Code §§ 58.1-3980 and 58.1-3981. The LGA can help the Assessor to impartially analyze the issues and determine how to address difficulties with the assessment. If there is a significant problem with the assessment, it is good practice to address that problem and not wait for litigation. Trying to litigate a tax assessment case when there are significant problems with the assessment can be a recipe for a disaster. E. Investigating a tax assessment challenge. Defending tax cases benefits from early and thorough fact investigation. Upon the filing of a complaint, the LGA must investigate the history of the assessment, collect all correspondence and emails with the property owner, and learn the Assessor’s process in developing the assessment value. The document collection process will include the property record/assessment cards, any policies and procedures developed by the Assessor, market rent studies, and any equalization and similar charts or analyses prepared by the Assessor. The LGA should interview the Assessor and learn how the assessment was determined, what specific processes were used, what valuation methods were used or considered, why the assessment valuation is correct, and what are the possible problems with the valuation. The LGA must make sure that the Assessor can explain the assessment and how the value was determined. If there is a problem with understanding the explanation, there may be a problem with the underlying valuation process. If there is a problem with the assessment, deal with it early and correct it if necessary. After the initial investigation, the LGA should draft a memorandum documenting everything learned. The Assessor should review and make any needed corrections. This memorandum will be valuable later when memories fade. An assessment based on the income approach using only a calculated market rent and without considering the actual contract rent. An assessment that does not consider a recent sale of the property at a price materially lower than the assessment. The unconsidered use of the traditional cost approach without appropriate safeguards and accuracy checks. Reliance on a highest and best use designation that is inconsistent with the actual use of the property which results in an assessment at a value that would require a change in the subject property’s use that is impractical or unlikely. An assessment that just seems unrealistic given the circumstances. The LGA must develop the defense strategy with a realistic understanding of the case. F. Working with the Assessor. In a locality in which tax assessment cases are uncommon, the Assessor may have little experience with how such cases are handled, and litigation in general. It will be the LGA’s role to explain the litigation process to the Assessor, to make sure the Assessor understands his or her role in the litigation and is prepared to fulfill that role, and remains actively engaged in the case. The Assessor may be concerned that the assessment is being challenged and will be defensive about the assessment. The Assessor may question the need to hire a third party appraiser to support the assessment. The LGA must advise the Assessor: not to take the challenge personally, explain the legal process, convince the Assessor that in a significant case it is all about the appraisals, help prepare the Assessor for depositions and testimony, and boost the Assessor’s confidence by providing the needed knowledge and guidance. It is not unusual for the Assessor to be defensive about the assessment and to resist any possibility of a settlement that would reduce the assessment. The LGA should prepare the Assessor for the possibility of a settlement, explain that even though the Assessor did a good job, a settlement should be considered because: when hearing evidence from conflicting appraisers, the court may be tempted to “split the baby;” a settlement avoids the expense associated with litigation; and it is possible the court could reject the assessment and the locality will face the risk of a refund. The LGA should assure the Assessor that the challenge is not a result of poor work by the Assessor’s office. However, it is important for the LGA to provide an accurate analysis of the case. Because the LGA represents the Assessor, it is easy to want to believe the assessment is correct and to support it. But it is the LGA’s role to take a detached, objective view of the case. Assessors may theoretically come under pressure to keep the tax assessments up so local revenues will not decline. The LGA should ask the question “Is this property owner trying to dodge his taxes, or is it possible the Assessor is overreaching a bit on his assessment?” If the LGA believes the assessment is flawed, the attorney should say so, and encourage the Assessor to address the problem. Trying to litigate a flawed assessment is not in the best interest of the locality, and can lead to a bad outcome. G. Working with outside counsel. One of the first decisions to make in a tax case is whether or not to bring in outside counsel. A governing body may be reluctant to hire outside counsel, since they are already paying the LGA to handle the locality’s legal matters. However, there are a number of reasons why it may be a good idea to bring in outside counsel to assist with a tax assessment case: (i) while assessment cases are common in some localities, in others they may be rare, and the LGA may have limited experience in this area of the law; (ii) the case may involve special purpose properties such as a shopping mall, specialized manufacturing facility, golf course, hospital, etc., that require special expertise; (iii) in a small office, the LGA may not have the resources to handle a complex tax assessment case; and (iv) in the case of an assessment challenge involving a property such as a shopping mall or manufacturing facility, the financial stakes and the outcome of the case are high, and the LGA may want the assistance of outside counsel to provide support and to shoulder some of the risk and responsibilities associated with the case. If the decision is made to bring in outside counsel, the LGA will continue to assume a number of critical roles. The LGA is familiar with the locality’s culture, policies, procedures and the key personalities involved in the case (e.g. the Assessor, members of the governing body, local judges, etc.). The LGA can serve as a valuable resource in making sure outside counsel has the local knowledge needed to assert an effective defense. The LGA will play a key role in facilitating communications with outside counsel by coordinating responses to discovery requests, assisting with depositions, helping schedule motions, etc. The LGA can also do much of the work in gathering and organizing documents, etc. Throughout the case the LGA should be engaged with outside counsel in discussing and determining litigation strategies and legal arguments. If it appears a settlement may be possible, the LGA should be actively involved in the planning of mediation/settlement strategies, and should play a key role in representing the locality in mediation and settlement discussions. Successfully defending a significant tax assessment case costs money, there is no way to avoid the expert witness fees, legal costs, etc. The LGA needs to be able to assure the governing body that the expenses are being carefully monitored, and the locality’s money is being well spent. Accordingly, the LGA should: (i) at the beginning of the case discuss a budget with outside counsel and get an estimate of the fees and expenses the locality is likely to incur, (ii) be involved in such decisions as the hiring of the expert witnesses, and (iii) make sure bills from outside counsel are submitted on a regular basis and review the bills to make sure the expenses are appropriate and the hourly rates are accurate. Tax assessment cases are complicated and time consuming, and can potentially have serious financial consequences for a locality. Outside counsel can often provide the experience, expertise, and resources to help defend a challenge to a tax assessment successfully. A partnership between the LGA and outside counsel combines the strengths of both, and often results in the successful defense of a tax assessment case. H. Working with the local governing body. The LGA must follow the commandment that “Thou Shalt Keep Thy Client Informed,” and keep the governing body advised about what is happening throughout the case. The news media reports on tax assessment cases, and the LGA wants to make sure he or she informs the governing body about the litigation before the members learn about it in the news media. The first communication should advise that a tax assessment lawsuit has been filed, that the LGA is taking the necessary steps to protect the locality’s interest, and recommending that all inquiries from the news media concerning the case be referred to the LGA for comment. The governing body should be kept up to date on the progress of the case, including specific events such as hearings, settlement offers, etc. It is also important to advise the governing body of the financial implications of the case. For example, if the tax assessment challenge is successful, how will the annual tax revenues be affected, and how much money might the locality be required to refund to the taxpayer. This information is important for the local governing body to consider when preparing the annual budget; if the locality faces the possibility of having to provide a refund to the taxpayer, it needs to have a plan as to how it will cover the refund. The LGA should also advise the governing body as to whether the case may affect how other properties are assessed because of equalization and uniformity principles. The failure to keep the governing body informed about the case can cause problems, particularly if an adverse decision occurs. Also, keeping the governing body up to date on the case can facilitate settlement decisions, if the locality receives a reasonable settlement offer. If there is a settlement offer, it will probably be received close to the trial date, after discovery has been completed. If the governing body is up to date on the case, the strength and weaknesses, the possible financial consequences, etc., it is easier to make good settlement decisions. The LGA must be frank in the evaluation of the case, pointing out both the strengths and weaknesses. The LGA does not want to be placed in the position of having given “rosy” reports on the case to the governing body, and then come in at the last minute and say “There are some flaws in the case and we need to consider a settlement.” Giving the governing body bad news about the case at the last minute can undermine the LGA’s credibility. Finally, when using outside counsel, the LGA needs to assure the governing body that the locality is not just turning on the financial faucet and leaving it running. Tax assessment cases are expensive and the governing body will want to hear that the costs are carefully being monitored, and the locality is getting good value for its money. I. Working with the news media. Tax assessment cases will often be of interest to the local news media. Unfortunately the locality is not going to be able to dig a hole and avoid the news media; refusing to comment about the case can create negative impressions with the public. Therefore, it is important to establish a plan to deal with the news media. The LGA may be the best person to serve as the spokesperson for the locality. It is likely from past dealings with the news media the LGA will know the local reporters, will have a sense of rapport with them, and maybe even have established a certain level of trust. Further, the LGA will be in a better position than the members of the governing body and the Assessor to give an accurate statement to the news media without making statements that could compromise the case. The locality should quickly decide if the LGA is going to be responsible for dealing with the public and news media during the case; if so, the members of the governing body and the Assessor should refer all requests for comments to the LGA. In communicating with the news media, the LGA should follow the normal rules for dealing with the press: be prepared, convey a specific brief message, provide accurate facts, and avoid technical language. J. Getting the best appraisal. The key to any significant case will be the quality of the appraisals. To win the case, get the best appraisal possible and make sure the appraiser does a good job. It is the LGA’s role to find and hire the best appraiser for the work needed. There is simply no way to avoid the necessity of hiring a good appraiser in a significant case. Picking the right appraiser depends on the subject property. With typical residential and commercial properties, a local appraiser is often best. With more complex commercial and industrial properties, a more specialized appraiser will be needed. Local appraisers are often hesitant to appraise properties outside of their normal practice. The best appraiser will have expertise in the subject area, experience with litigation, and good professional qualifications and credibility. Finding the right appraiser requires leg work. Good sources of information are the Assessor, other assessors, local appraisers, other LGA members, and internet and literature research. Once the right appraiser is found, the LGA should hire the appraiser with an appropriate engagement letter. There will be many issues about the appraisal process that the LGA may not understand; the only cure for this is to ask lots of questions of the appraiser and the Assessor. Once the appraiser has been hired, it is essential that the appraiser commits to a schedule that leaves room for problems down the road (because there are always problems). The LGA should also prepare a confidentiality agreement covering any confidential taxpayer information that may be provided to the appraiser during the course of the litigation. When appropriate, the LGA should get the property owner’s consent to sharing confidential tax information with the appraiser. K. Helping the Appraiser do the work. The LGA can help the appraiser do a good job by collecting information and being local eyes on the ground. The LGA should put together a notebook with key documents including the deed, any relevant easements or operating agreements, leases, income information (if available under § 58.1-3294), relevant documents from the Assessor’s files including the assessment card, building permit history, neighborhood and area information, information about sales and leases in the area, and any materials provided by the property owner. The Assessor is invaluable in identifying and collecting this information. The LGA must arrange with taxpayer’s counsel for the appraiser to visit the subject property. The LGA must remain involved throughout the appraisal process. L. A word about Scheduling Orders. The LGA must have a litigation plan in place when the Scheduling Order is drafted. The Scheduling Order should address what expert disclosures will be made and when. If possible, the Scheduling Order should require that the parties exchange full appraisal reports and not just lawyer drafted expert disclosures. The property owner should be required to produce its appraisal report leaving enough time for the locality to arrange a review appraisal if needed. The typical thirty day period is not enough time. Delays in completing appraisals are often a problem and the Scheduling Order should anticipate such problems by leaving room for delay. The Scheduling Order should also anticipate the need for a pretrial conference and hearing date to hear motions in limine. Finally, the parties need to be realistic about how long the trial will take and the Scheduling Order should reserve enough time to finish the trial without undue time pressure. The LGA has to decide whether it will be helpful to use the appraisal report as an exhibit at trial rather than just charts and other excerpts. In complex appraisal situations, it may be helpful to seek the agreement with property owner’s counsel to allow the use of the full appraisal reports as exhibits. The practice and expectations of the parties varies widely with respect to how appraisal reports may be used at trial. The LGA must insist on an opportunity to review the draft report before it is finalized. The LGA must review the draft carefully looking for methodological errors, fact errors, weak assumptions, and poor reasoning or judgment calls. If something is not clear in the draft appraisal, then additional explanation or data may be required. Ask lots of questions. The final report must be credible, correct and, hopefully, support the assessment. The LGA should independently research appraisal literature for articles and materials helpful to the locality’s approach to the key valuation issues. Appraisers are prolific writers and there are articles and materials available addressing every conceivable problem. The LGA, the Assessor, and the appraiser can work together in developing the literature analysis. The appraiser can include the results of this labor in the analysis and report. This work can also be used in the treatise disclosure process reviewed below. Presenting appraisal testimony requires the use of charts and summaries. It is much easier if the necessary charts are included in the appraisal report and expert disclosures. Developing these charts is a fertile area for creative lawyering that improves the presentation of complicated information. The LGA should work with the appraiser and the Assessor in developing charts and summaries that illustrate key points. Again, the quality of the product benefits from early effort. N. Hiring a review appraiser. It may be essential to have a review appraiser in any significant case. Many skilled LGA’s question the value of review appraisers because such reviews sometimes focus on technical criticisms related to applying USPAP standards. In the right case, however, review appraisers can be extraordinarily effective. It is sometimes a challenge to establish the weaknesses of the property owner’s appraisal by cross examining the property owner’s appraiser. The appraiser is a professional and will know more about the appraisal than the LGA. It is also counterproductive to use the locality’s appraiser to point out problems with the property owner’s appraisal because it dissipates the focus of the appraiser’s affirmative valuation testimony and tends to make the appraiser an advocate, rather than a disinterested truth giver. The review appraiser’s task will be to review and critique the property owner’s appraisal. In addition, the review appraiser will directly, or by implication, defend the assessment and/or the valuation reached by the locality’s appraiser. The most effective way to challenge vulnerable appraisal testimony is by using a review appraiser. The review appraiser will look for math errors, fact errors, method errors, unsupported assumptions, internal inconsistencies, overlooked factors, poor comparable sales, inappropriate adjustments with comparable sales, and other potential problems. The review appraisal process is subject to specific requirements under USPAP. Written discovery to the property owner should include interrogatories and document requests seeking information on: why the assessment is erroneous; all problems or errors with the assessment; all errors or problems with the method of valuation; all fact errors in the valuation; the property owner’s opinion of fair market value; the owner’s view of what is the proper method to determine fair market value; any issues with uniformity; and witnesses and relevant documents. The locality should request all documents relating to the value of the property, relating to the valuation analysis, all prior appraisals, and any prior representations as to the value of the subject property. If the subject property is commercial property or income producing property, the locality should request rent and revenue ledgers, sales reports, expense ledgers and reports, income statements, rent rolls, leases, and other information relating to the income producing characteristics of the property. The property owner may try to avoid producing prior appraisals. The locality should be able to discover at least the facts and methodologies stated in prior appraisals. The locality may not be able to discover the prior opinion of value. A motion to compel may be appropriate in these circumstances. The LGA should investigate whether the property owner has made prior representations concerning the value of the subject property that are inconsistent with the current claims including loan applications, media reports, acquisition cost reports, enterprise zone applications, filings with the Securities and Exchange Commission, and prior appraisals. The property owner will serve interrogatories seeking to tie down the locality with respect to the facts underlying the assessment, the method of assessment, and all related facts. The locality must prepare a careful and accurate answer that anticipates the trial issues. The Assessor must be deeply involved in developing this interrogatory answer. The LGA has to decide (strategically) whom to depose. Deposing the property owner can often lead to helpful admissions. The deposition of a corporate property owner may be necessary to authenticate documents for admission at trial. A stipulation may be possible, but it is often easier just to do the corporate deposition. If the property owner’s appraiser has made bad fact assumptions, it may be necessary to find and depose witnesses (sometimes employees of the property owner) to contradict those assumptions. It is a judgment call whether to depose the property owner’s appraiser. One rule of thumb is, if the property owner’s appraiser has done a good job, take their deposition because the LGA will need all of the information available. If the appraiser has done a poor job, leave it be and attack the appraisal analysis at trial through cross examination, the testimony of the locality’s appraiser, the locality’s review appraiser, or the testimony of the Assessor. In a few cases, deposing the property owner’s appraiser and demonstrating the weakness in the analysis can lead to a favorable settlement or even withdrawal of the complaint, but such a result cannot be counted on. The property owner will probably depose the Assessor. These depositions often involve memory tests and trick questions and the LGA must prepare the Assessor accordingly. The preparation is much easier if the Assessor has participated in the investigation, discovery, and evaluation steps. If the property owner deposes the locality’s appraiser, it is an opportunity for additional preparation. Some appraisers resist deposition preparation because of their extensive experience testifying. The LGA must insist on at least one focused meeting to review the appraisal and the expected deposition topics. Many cases involving appraisal testimony have been lost because of poor deposition preparation. 1. Using the Assessor as an expert. In some cases, it is unavoidable that the locality will use the Assessor as a “sort of” expert; this testimony will generally be mixed fact and explanation testimony. The Assessor, therefore, should participate in drafting the expert disclosures. The LGA should involve the Assessor throughout the discovery process to make sure that he or she understands all of the issues. The expert disclosure for the Assessor should include opinions that the assessment is consistent with the property’s fair market value and was done in a manner that meets IAAO standards. At trial, the Assessor must be able to explain the assessment, how it was determined, the methodology used, why it was correct, and be able to withstand cross examination on these points. Obviously, the Assessor must know the facts well. Property owners often call the Assessor as an adverse witness. 2. Experts other than the appraisers. When appropriate, the locality may wish to retain additional experts to establish unwarranted assumptions or incorrect facts in the property owner’s appraisal. These experts could include commercial real estate brokers, contractors, engineers, and others. The expert disclosures must be carefully prepared. The locality’s designation should include the appraiser, a review appraiser and the Assessor. The designation should be thorough and include a statement of facts and opinions to which the expert is expected to testify and a summary of the grounds for each opinion. The designations should state that the assessment was not erroneous and was based on the fair market value of the subject property. If the locality fails to cover the essential items in the expert disclosures, the property owner will object to any undisclosed expert testimony at trial. As a precaution, even if witnesses are primarily fact witnesses, the LGA will want to make a precautionary expert disclosure if the testimony will involve the explanation of expert type concepts. Q. Attacking the property owner’s appraisal. Developing the attack on a property owner’s appraisal is among the most entertaining work a LGA gets to do. The first step is research: treatises, articles, publications, presentations, the appraiser’s website and CV, and prior testimony. It is amazing the nuggets that can be found. Investigation should also include the appraiser’s relationship with the property owner and compensation arrangements. Property owners sometimes use national litigation specialists which can be a promising subject of cross examination. The LGA must analyze the appraisal for: fact errors, methodological errors, math errors, unsupported assumptions, hypothetical facts, overlooked facts, omitted information, one-sided assertions and undeveloped reasoning and logic. Many appraisers overreach and draft appraisal reports that are directed at meeting the immediate need of property owners for an appraisal that has a low valuation. Do not be surprised at the wide variations you will see in appraisal values. The LGA should say a prayer of thanks when the property owner’s appraiser overreaches. It is easy to attack the credibility of the overreaching appraiser. The LGA must not be afraid to apply common-sense. Judges readily recognize overreaching and stretched analyses. The LGA should file any well-grounded motion in limine that is available. Even in circuits in which such motions are rarely granted, it is still worth doing because tax cases are rare and the “normal” rules may not apply. The judge may grant the motion. At a minimum, the motion will help educate the judge about the issues and the problems anticipated with the property owner’s expert testimony. The motion in limine may also educate the other side and allow an opportunity to shore up the weak points before trial. The LGA must balance the advantages and disadvantages and make the decision. The best practice is to file the motion well before trial (but after the expert disclosures and any expert depositions), schedule the motion for hearing, and send out a proper notice in compliance with Rule 4:15. The LGA should file a trial memorandum to educate the court about the key legal issues and the expected fact issues and to lay the groundwork for a motion to strike. Assessment cases lend themselves to effective use of the treatises under Virginia Code § 8.01-401.1 and V.R.E. 2:706. The treatise rule allows an expert to rely on authoritative treatises to support the expert opinions and analysis during the direct examination of the expert and allows designated statements to be read into evidence. The LGA should integrate the use of treatises into the expert disclosures and the appraisal report. The LGA and the appraiser must work together in preparing the treatise disclosure. Virginia Code § 8.01-401.1 requires that the treatise disclosure must be served thirty days before trial. Disclosures must also comply with the form and content requirements imposed by Virginia case law. 4. Learn about the judge. The LGA should research any prior decisions by the judge in tax cases and eminent domain cases involving appraisal issues. Also, it helps to know about the judge’s professional experience before going on the bench; prior experience with appraisal issues can influence how the evidence is presented. 5. Develop the trial themes. The LGA must develop trial themes that fit the facts and target the expected key decision points. Common offensive themes are that the property owner’s appraisal testimony is based on unwarranted assumptions, poorly selected comparable sales, unreasonably negative judgment calls that require seeing the property in the worst possible light, and the suggestion that (when supported by the evidence) the owner has made prior representations of higher value of the property in other contexts. Common defensive themes include the historic professionalism, competence and reliability of the Assessor’s work, the absence of any history of meaningful assessment challenges in the locality, the property owner’s acceptance of prior assessments for many years without complaint or challenge, and the Assessor’s proper application and consideration of valuation methods. As noted above, charts and summaries are essential and should be prepared well in advance of trial and produced to the other side. The appraiser and the Assessor should participate in preparing the charts and summaries. The information for charts and summaries can often be drawn directly from the Assessor’s file or the appraiser’s report; it is the organizing and placing that information into helpful context that can be difficult. The LGA must plan how the charts will be used at trial and which witnesses will testify about which charts. As noted above, presenting complicated appraisal and valuation evidence using charts and summaries offers opportunities for creative lawyering. The LGA should identify the expected decision points and the specific areas where the property owner’s appraiser has overreached and then develop charts and summaries that illustrate and emphasize those points. The LGA should also anticipate possible objections to charts and do what is possible to avoid those objections. Objections to expect include lack of foundation, hearsay, and inaccuracy (as in comparing apples with oranges). Prepare easy to use exhibit binders that include the key exhibits and make the appropriate number of copies. Consider requesting the court to visit the subject property. A site visit can be helpful if the property owner’s appraisal is divorced from reality. 9. Use the Local Government Attorneys Association as a resource. LGA members are generous with their time and suggestions in discussing litigation issues. Schedule a court reporter to attend the trial and all hearings. S. Case Evaluation and settlement. As trial approaches, the final case evaluation process takes place. a. Is there any meaningful risk that the court will conclude that the presumption of validity has been rebutted? If so, does the appraiser’s value support the assessment? On the other hand, how vulnerable is the property owner’s appraisal analysis? b. Are there any soft spots in the locality’s case that may tempt the court to split the baby? c. Consider developing a range of outcomes, analyzing the probability for each outcome, and using that analysis to “bracket” a reasonable settlement range. d. Consider the benefits of a court decision affirming the assessment. e. Consider the risks of a bad result. f. Consider the possible effect of a settlement or a bad outcome on the assessment of other similar properties, including equalization and uniformity issues. If the risk analysis supports a settlement effort, then the LGA should participate in settlement discussions. On the other hand, if the assessment is done well and the appraisal testimony supports the assessment, the LGA can be fearless in trying the case. It goes without saying that the key to a favorable settlement is being ready to try a good case. The locality has the power to structure a compromise settlement pursuant to Virginia Code §§ 58.1-3990 and 58.1-3994. In appropriate cases, the terms of any settlement may include credits against future tax obligations rather than refunds. In some cases, there can be express or implied agreement concerning future assessment valuations although such agreements are probably not legally enforceable. There may be creative ways to settle cases, such as economic development grants through an industrial development authority or by the construction of public improvements in the area that benefit the subject property. 1. Excluding non-party witnesses and the appraisers. Consider whether to move the court to exclude non-party witnesses and whether to consent to the appraisers hearing each other testify. The LGA should take care to develop the trial themes in the opening statement. The use of charts and summaries is essential. The use of power point during opening statements requires caution. Power point should be used for images to support and reinforce your words. As soon as you put up actual words in a power point presentation, the audience’s minds shift over to the part of the brain where reasoning resides, and the audience no longer hears your voice; the audience cannot take in the actual words you are saying in preference to the words they are seeing and reading on the screen. In your opening statement, do not give the court words to read; give the judge images to see that support your words, such as charts and graphs. Many power point aficionados find the temptation to manipulate and combine text and images to create a favorable impression irresistible. The resulting presentation, however, may be objectionable as misleading and inaccurate. If you are using power point slides, consider sharing them with the opposing counsel prior to trial to avoid any objection. If the other side is using a power point that you have not seen, object. Do not allow the other side to use a power point that you have not seen without an objection. The court will probably allow the use of the power point after objection because it is a bench trial, but you will be in a position to object when needed if the slides are misleading. Surprises at trial are inevitable; be ready for them. If you have conducted good discovery, the surprises should be minimal. If surprises do develop, go with the flow. 4. The property owner’s case. The property owner will probably call the Assessor as an adverse witness concerning how the valuation for the assessment was developed and what methods of valuations were considered and applied. b. The property owner or property manager. Counsel may call the property owner or the property manager to testify about problems with the property that adversely affect its value. This type of witness may make helpful fact admissions on cross examination. c. Real estate agents and leasing agents. Real estate agents and leasing agents can testify about problems with marketing or leasing the property and how those difficulties affect the fair market value. Contractors can testify about what terrible condition the buildings are in and the estimated costs for needed maintenance and improvements. e. The property owner’s appraisal testimony. The LGA should anticipate that property owner’s counsel will present the appraisal testimony by narrative testimony with few questions being asked. The LGA should be prepared to object to unrestricted narrative testimony and be specifically ready to object instantly if it looks like the appraiser is going into improper areas. Some appraisers try to bolster their testimony by reliance on hearsay opinions held by others and communicated to the appraiser; this is always objectionable. On the other hand, if the witness is droning on and the testimony is making little impact, stay quiet. The LGA must plan to object to any testimony offered that is outside the scope of the expert disclosure or that does not have an adequate foundation. An overreaching appraiser will often speculate about unknown facts or future events; this type of testimony should elicit an objection. The LGA should plan carefully on how the appraiser may use the report during testimony. Cross-examination of an appraiser can be rewarding. There is a three part method with cross examining expert witnesses that is often helpful. First, start with helpful testimony. The LGA can elicit testimony from the appraiser that helps the locality’s case and is consistent with the locality’s trial themes. The next step is to examine the appraiser to identify limitations in his or her work and knowledge base. Such limitations include limited access to the property, information that was not available to the appraiser and should have been, and similar shortcomings. This stage includes “flank attacks” identifying the fact assumptions in the analysis that will be attacked directly or through other witnesses later. The final step is attacking the appraiser’s credibility. Frequent areas of cross-examination include math errors, fact errors, errors in the method of valuation applied, improper adjustments, unwarranted assumptions, poor logic and reasoning, the frequent use of qualifying and hedging terms, the application of discretion and judgment that is inconsistent with reality, the use of hypothetical conditions, ignoring existing facts, internal inconsistencies, and the basic failure to apply common-sense. If the witness is an unduly expensive national appraiser, it will be appropriate to point out the high compensation. The appraiser may respond that the work is highly specialized and requires great expertise. 5. The motion to strike. The LGA should prepare a well-structured motion to strike and argue the issues with passion so the court pays attention. Ask the court to dismiss the case based on the property owner’s evidence that establishes that the locality is entitled to the presumption of validity and that the evidence suggests only that the plaintiff’s case is based on differences in opinion between appraisers. In addition, suggest that the court can reject the property owner’s appraisal based on methodological and analytical errors established during cross examination and addressed in the locality’s motion in limine and/or trial memorandum. Even if the court takes the motion under advisement, which it probably will, the LGA has educated the court on the issues going forward. The locality’s evidence should prove the specific facts needed and develop the trial themes. The Assessor’s testimony, sometimes presented on cross-examination as part of the property owner’s case, should address how the assessment was determined and how the office considered each of the traditional methods of valuation analysis (comparable sales, income, and cost approaches). The use of charts and summaries is helpful. The Assessor should also describe the qualifications of the office and the steps taken to achieve fair and accurate assessments and comply with uniformity requirements. The Assessor can testify that the assessment is consistent with the fair market value of the property and that the assessment was done in a manner that meets IAAO standards. The Assessor may also testify about fact and method errors by the property owner’s appraiser. If there are difficulties in the case, they should be addressed during direct examination. No case is perfect and if the assessment process has problems, they should be dealt with directly and openly. i. The appraiser’s qualifications and experience. ii. Qualifying the appraiser as an expert. iii. Explaining the scope of work and the appraisal problem. iv. Describing the investigation and data collection process. v. Describing the area and the market. vi. Describing the subject property. vii. Describing the traditional methods of valuation and an outline of the appraisal analysis performed. viii. Reviewing the application of the comparable sales, income, and cost approaches to the subject property. ix. Using treatises to support the appraisal analysis. x. A discussion of the suitability of each valuation approach to the subject property. xi. A reconciliation of value. xii. An opinion of fair market value. xiii. An opinion that the appraised value is consistent with the assessment. Narrative testimony is boring and not persuasive. Good appraisal testimony will include questions from counsel that bring focus, context, and emphasis to the presentation. The testimony should anticipate and disarm the expected areas of cross examination and illustrate why the methods or judgments of the property owner’s appraiser were wrong. Counsel’s questions should also emphasize and restate the key points that support the assessment. The LGA should advise the appraiser to expect questions from the judge. Some judges are perplexed at the huge difference between the values determined by professional appraisers. Judges may ask the appraiser to explain why the different values are so large and what differences in method, approach or judgment caused the gap. The LGA should anticipate the cross examination questions and review those issues with the appraiser. Presenting review appraiser testimony is fun. After the (extraordinary) qualifications of the review appraiser are established, the review appraiser can critique the property owner’s appraisal. Setting priorities and imposing structure are critical parts of this process. The review appraiser should avoid nitpicking and technical USPAP arguments. If there is a strong point that undermines the property owner’s appraisal, the review appraisal testimony should start there. The LGA may call the property owner or manager as an adverse witness by live testimony or deposition, depending on the circumstances. The LGA may want to call fact or expert witnesses to disprove specific points underlying the property owner’s appraisal analysis. Local government officials may testify about recent building improvements, building permit values, and similar points. e. Closing the locality’s evidence. When the locality’s evidence is completed, the LGA must double check to ensure that all needed exhibits have been accepted into evidence and that any excluded evidence has been proffered. Once those steps are done, the evidence can be closed. The LGA should be prepared for rebuttal testimony offered by the property owner. U. Renewing the motion to strike. At the close of all of the evidence, renew the motion to strike. The judge will probably take it under advisement. The LGA brings the final themes and trial evidence together at closing. The LGA should argue the presumption of validity and the key case law that supports the assessment. The LGA must, however, address the property owner’s themes and any problems with the evidence. In tax cases, like other litigation involving local governments, LGA’s have the opportunity to get the evidence right, get the law right, and establish credibility with the court. The property owner will generally argue that they have rebutted the presumption of validity by evidence of improper methodology or manifest error based on a difference in value and that they have been unfairly taxed. The LGA can anticipate these argument by noting the evidence showing that: the proper methodology was applied, other valuation methods were appropriately considered in light of the characteristics of the subject property; the property owner’s appraisal testimony should be disregarded; and any remaining differences are just differences in opinions between appraisers. The judge will probably take the case under advisement. The LGA should volunteer to provide post-trial briefing. The post-trial briefing should cite concisely to the trial evidence with the transcript available to the court. As was done with developing the trial themes, focus on the judge’s expected decision points. Once the court rules, the final order should be prepared. If the court rules against the locality (hopefully a rare occurrence), the LGA should ensure that the final order preserves all trial objections and includes specific objections to any findings or legal conclusions by the court.